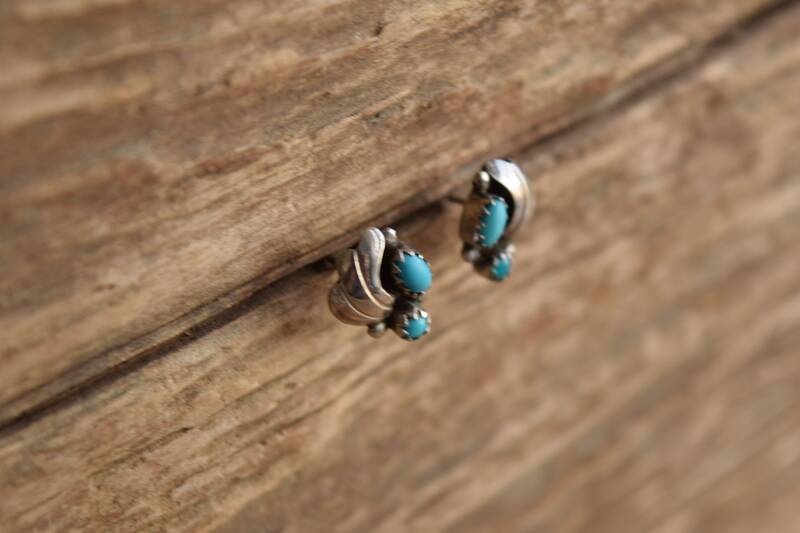 These turquoise stud earrings are combine classic southwestern style with an air of elegance. 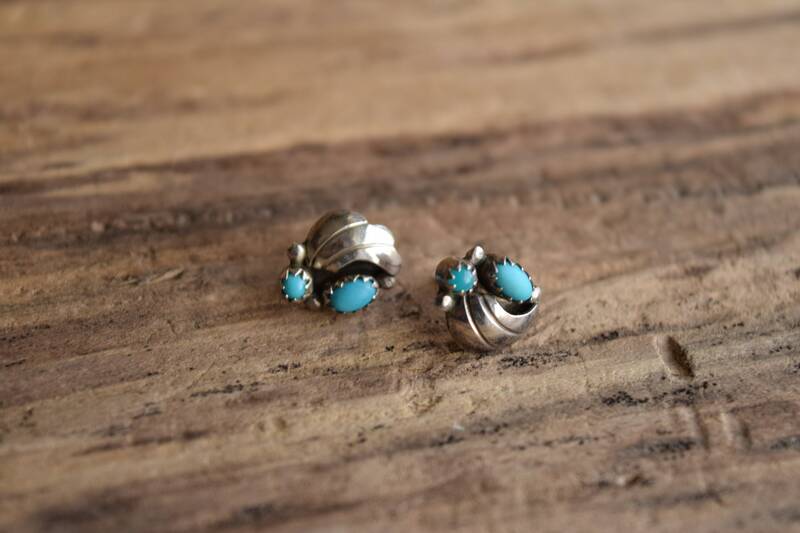 Each features two small turquoise stones and a small winglike silver accent. 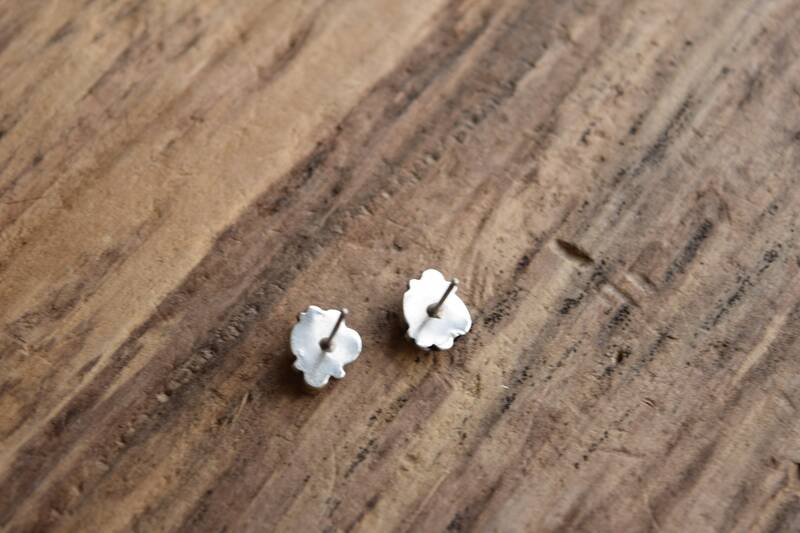 We love how easily they work with western and casual wear. 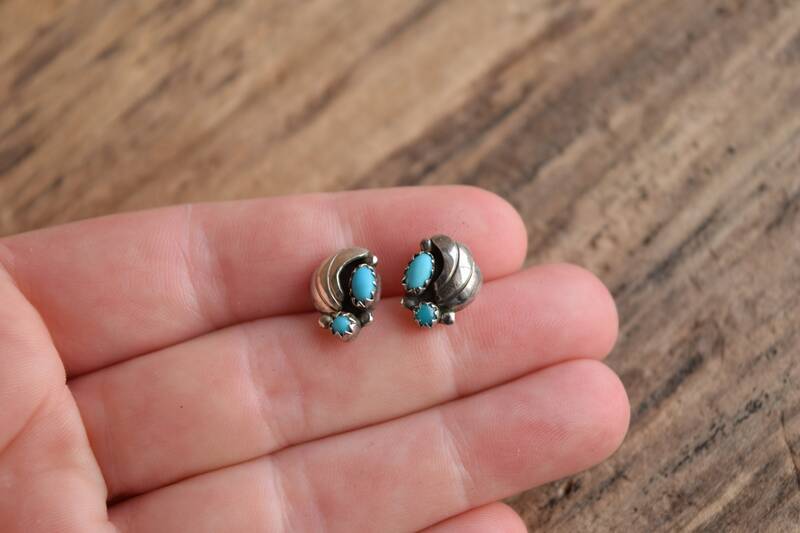 Condition: Good condition, light wear consistent with age and use. 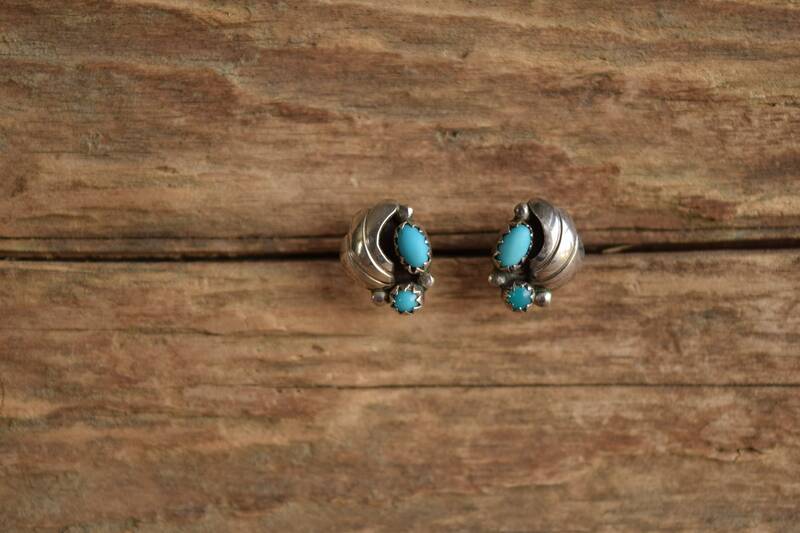 Some matting of the turquoise finish but overall a lovely pair of earrings. 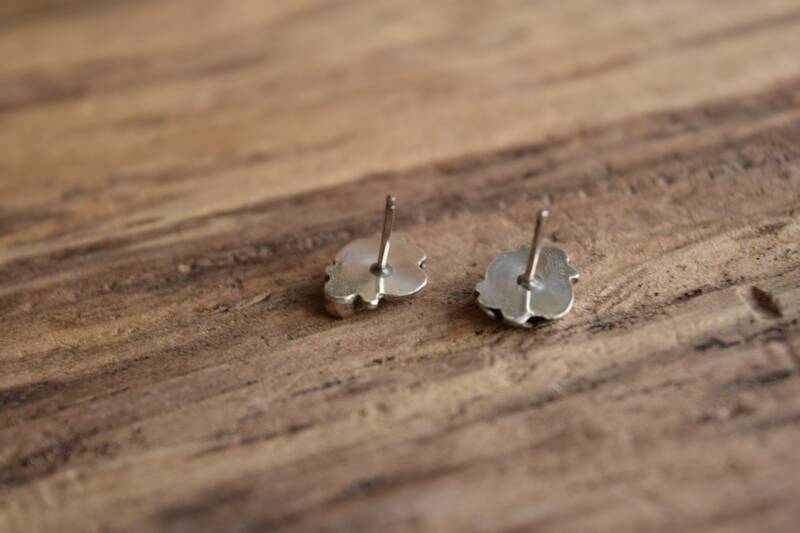 We've polished and sanitized the backs of these earrings and include fresh ear backs for wearing.